After spending 10 years in Australia, Philippe, founder of OZICONCEPT, settled back in France and wanted to share this idea from “down under”, which impresses by its design, quality and convenience. Protected by various patents and registered designs, the folding trailer is entirely manufactured in France and based on a full stainless steel chassis. The folding trailer has been commercialized in Australia for a few years, and was more recently successfully launched in the USA. It is now also available in Europe, after almost 2 years of research and development in order to comply with the European standards, and finally the obtaining of a European certification (directive 2007/46 CE). Our trailer was initially designed in Australia. After many years “down under”, the decision was made to bring it to Europe where people are all struggling with storage capacity. The folding trailer is the perfect solution and the best choice to keep enjoying one’s hobby without sacrificing any living space ! A state of the art designed product for any enthusiast, user-friendly AND easy on the eye ! 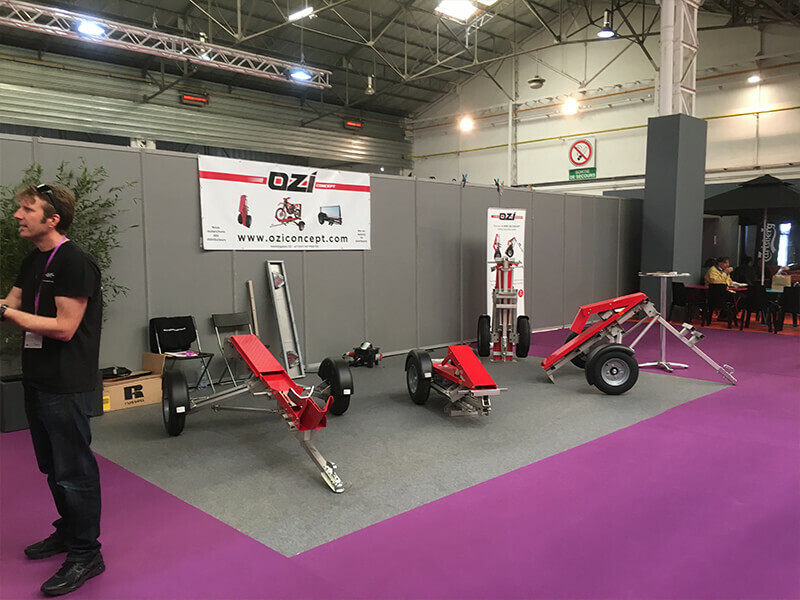 Over many years, OZICONCEPT has improved the design and quality of the European made trailer which serves various purposes. More recently, we have developed a suspension improving the trailer along with a long-lasting stainless steel frame. A beautifully designed product that you will like to watch and use ! Our product is durable and made to last. In order to achieve this, we must be in control of its development and its fabrication. 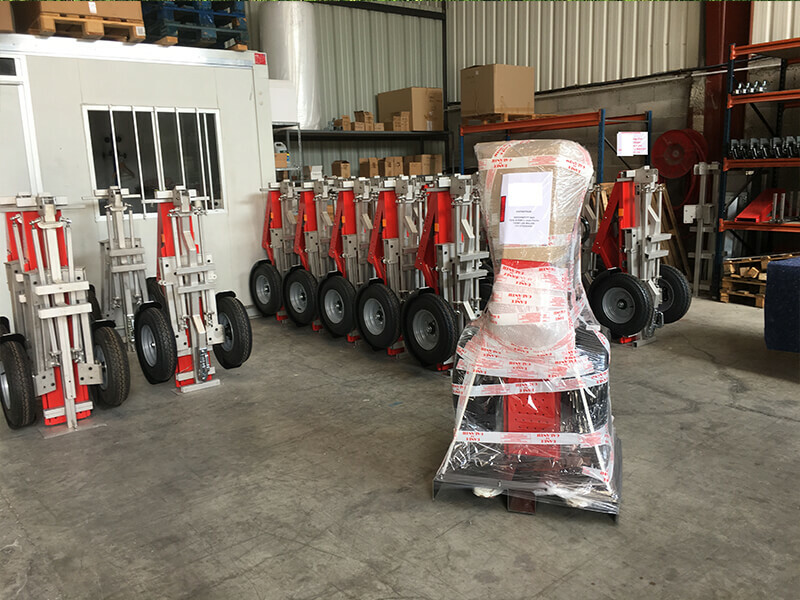 As we decided to manufacture the trailer in France, we had to put in place a ISO 9001 quality control procedure which is a token of quality, as much of our product as of our manufacturing and distributing processes. It is important to us that our customers understand what they buy. Our role is to help them assess their needs in order to make sure that the stainless steel folding trailer will be their best investment. From pick up to delivery, you will be able to follow the shipping process. When you have received it, our team will be at your full disposal for any further assistance but also to collect your impressions which are our best way of continuously improving our product. The folding trailer folds and unfolds in seconds, easily and safely. You can store it in a corner of your garage, or any small recess, including the boot of your car when you don’t want to tow an empty trailer. 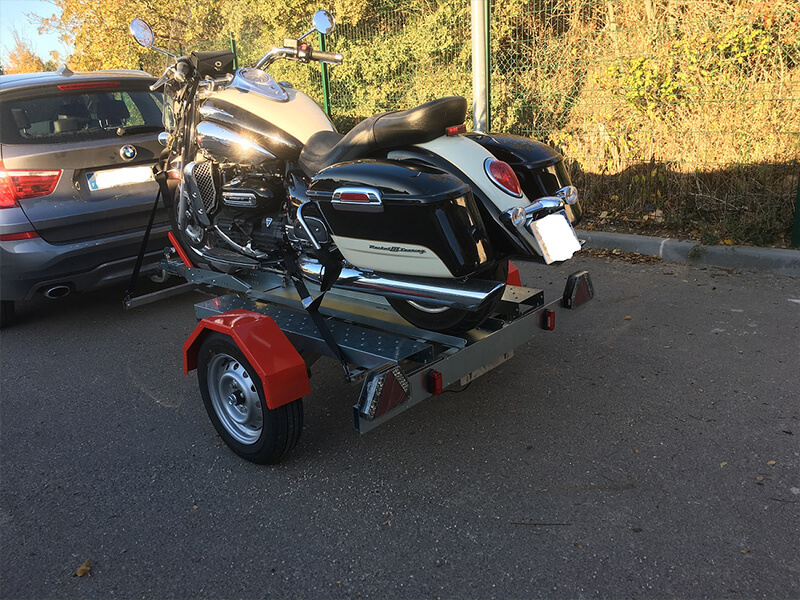 If you are struggling with available storage space and want to buy a quality stainless steel folding trailer, don’t look any further : our revolutionary trailer will enable you to live in a flat and still load your motorbike for a getaway week-end. Our customer satisfaction is our priority.